An online sleep program using CBT for insomnia (Cognitive Behavioral Therapy for Insomnia – CBTi) has been shown to reduce depression in a study published in the April 2016 edition of Lancet Psychiatry. CBTi is the most effective program for treating chronic insomnia and chronic insomnia is a major risk factor for developing depression. Unfortunately, CBTi is not available in many areas. And individual CBTi is expensive. The online program of CBTi that was studied (SHUTi) is one that we have used successfully in many patients with chronic insomnia in the clinic. The study published in Lancet Psychiatry found that depression, suicidal ideation, and anxiety symptoms can be reduced in people at risk for depression by using the SHUTi program. The study is particularly timely since the SHUTi program was recently overhauled and improved to make it more interactive and effective. 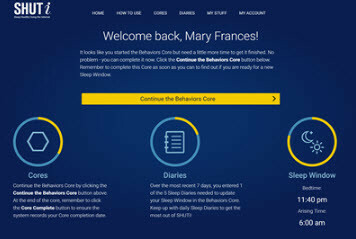 If you are interested in trying CBT for insomnia, click on the link below and follow the instructions to get more information. The program costs about 150$ for 20 weeks of active treatment and support. A real bargain for a long term improvement in the quality of your sleep and your mood. Christensen H, Batterham PJ, Gosling JA, Ritterband LM, Griffiths KM, Thorndike FP, Glozier N, O’Dea B, Hickie IB, Mackinnon AJ. 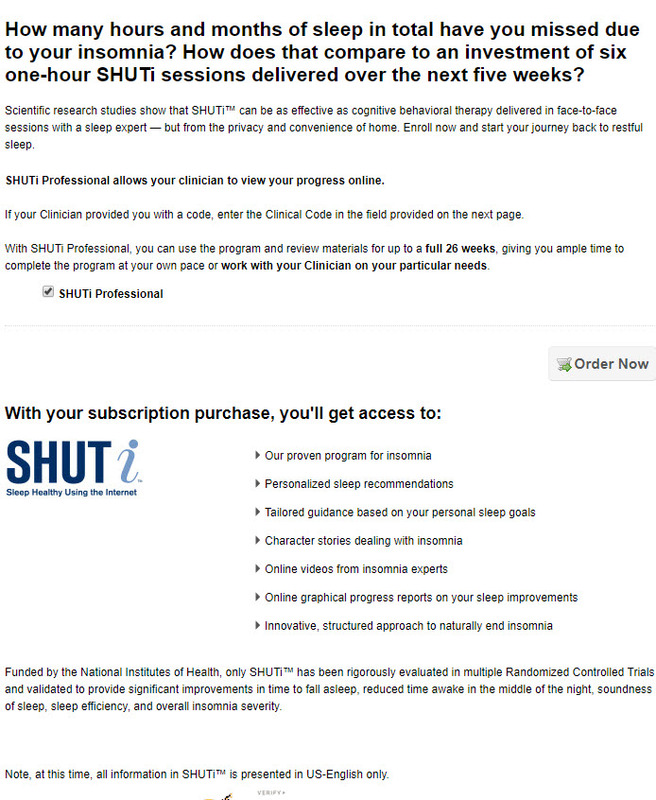 Effectiveness of an online insomnia program (SHUTi) for prevention of depressive episodes (the GoodNight Study): a randomised controlled trial. Lancet Psychiatry. 2016 Apr;3(4):333-41. doi: 10.1016/S2215-0366(15)00536-2. Epub 2016 Jan 28. PubMed PMID: 26827250.